The Conference on International Outreach and Cooperation in National Accounts for Sustainble Growth and Development Luxembourg, 6-8 May 2008. 12 a. 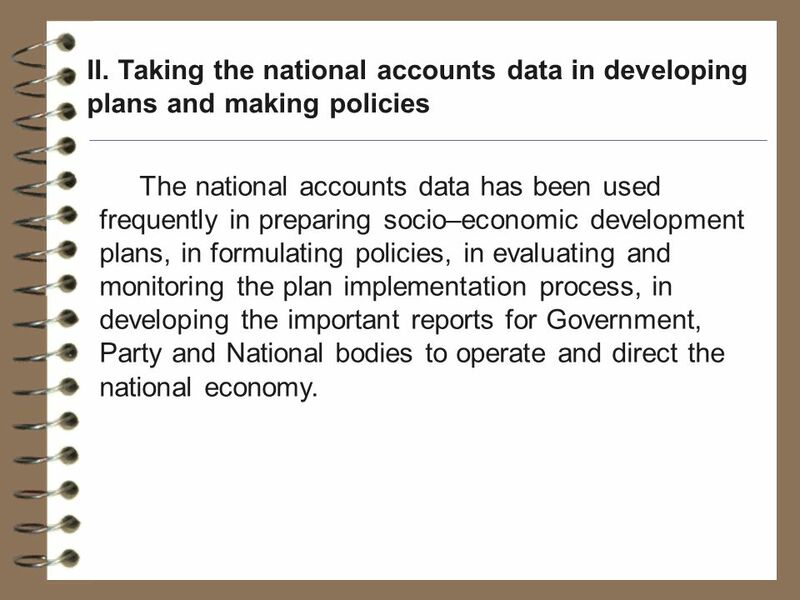 Taking the national accounts data in directing, operating, evaluating and monitoring the Plan Implementation process The national accounts data has been used in preparing the quarterly and 6-month reports to the Government for its direction and operation. 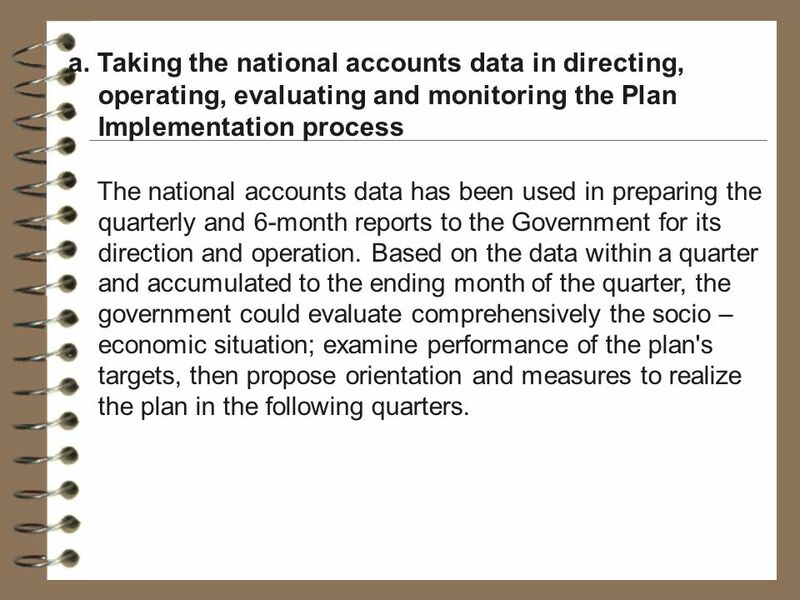 Based on the data within a quarter and accumulated to the ending month of the quarter, the government could evaluate comprehensively the socio – economic situation; examine performance of the plan's targets, then propose orientation and measures to realize the plan in the following quarters. 13 b. 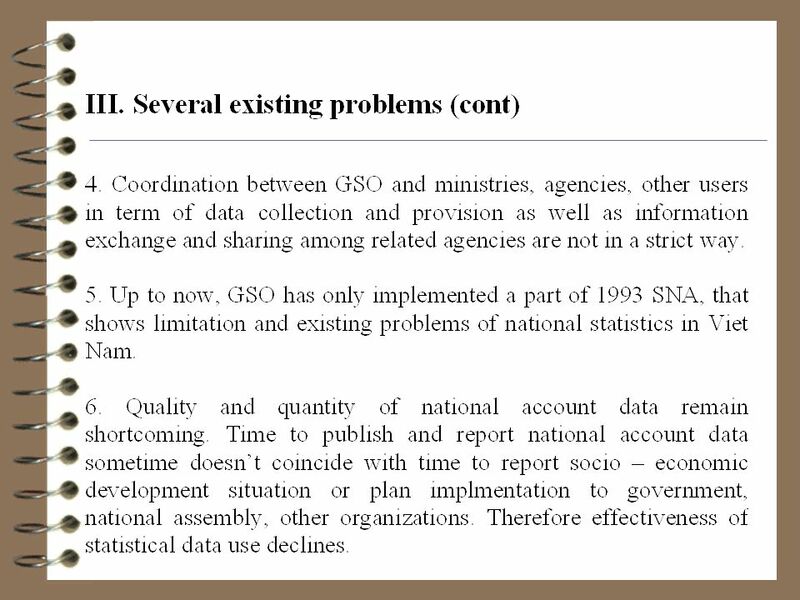 Taking national accounts data in developing the annual and 5 – year socio – economic development plans 1.The development of annual plan The development of annual plan is conducted through 2 periods: U sually from April or May every year, the guidance framework for the annual plan is established to orient the line- ministries, industries and provinces in evaluating, forecasting the implementation progression of current Plan and developing a plan for the next year. 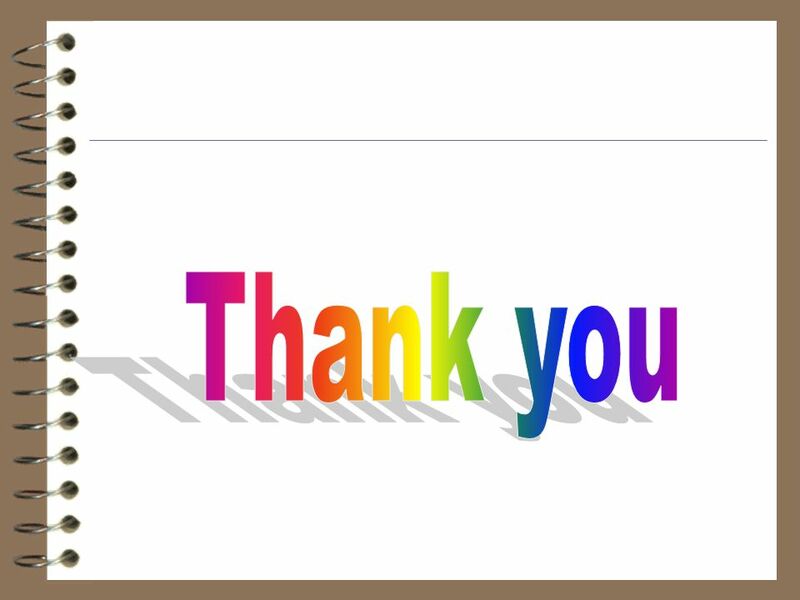 And from September – October every year, synthesizing annual plan is done. 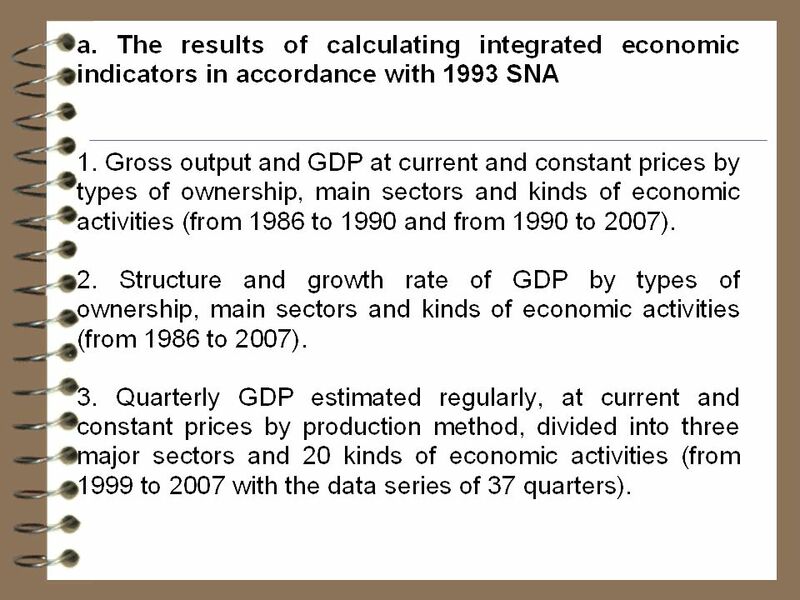 The method of calculating macroeconomic indicators is basically unified between operated year and planned year. 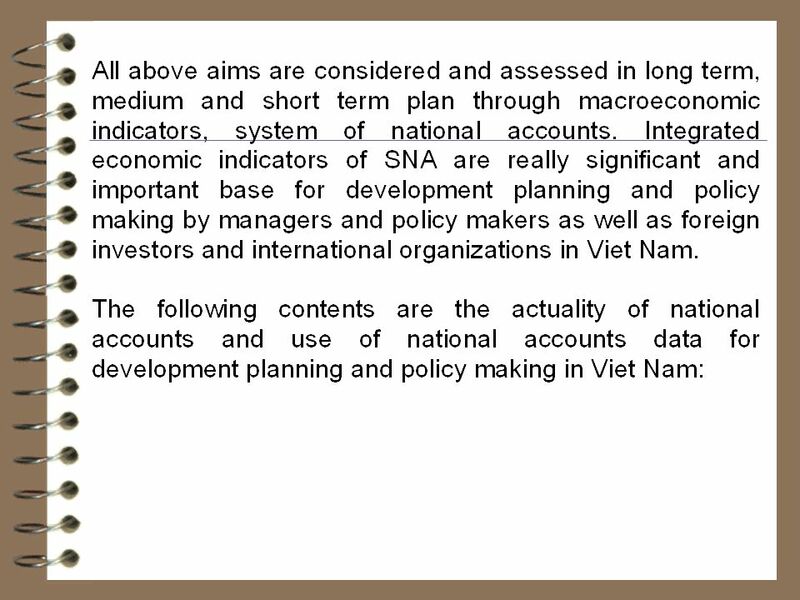 Generally, the development of annual plan is mostly based on quarterly and annually national account data. 14 2. 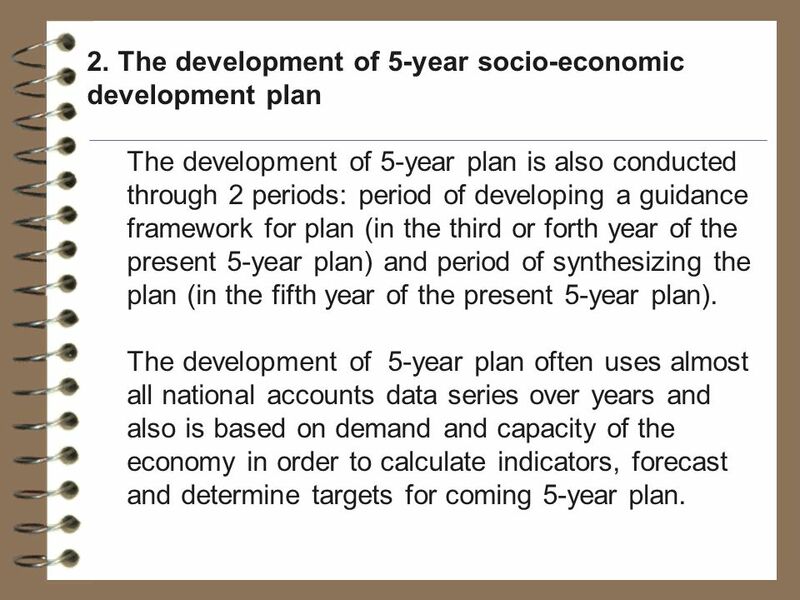 The development of 5-year socio-economic development plan The development of 5-year plan is also conducted through 2 periods: period of developing a guidance framework for plan (in the third or forth year of the present 5-year plan) and period of synthesizing the plan (in the fifth year of the present 5-year plan). 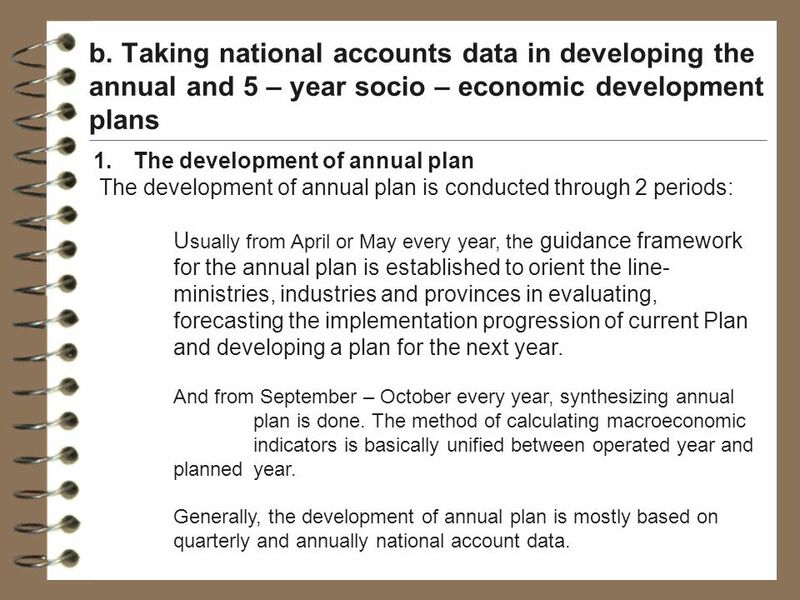 The development of 5-year plan often uses almost all national accounts data series over years and also is based on demand and capacity of the economy in order to calculate indicators, forecast and determine targets for coming 5-year plan. 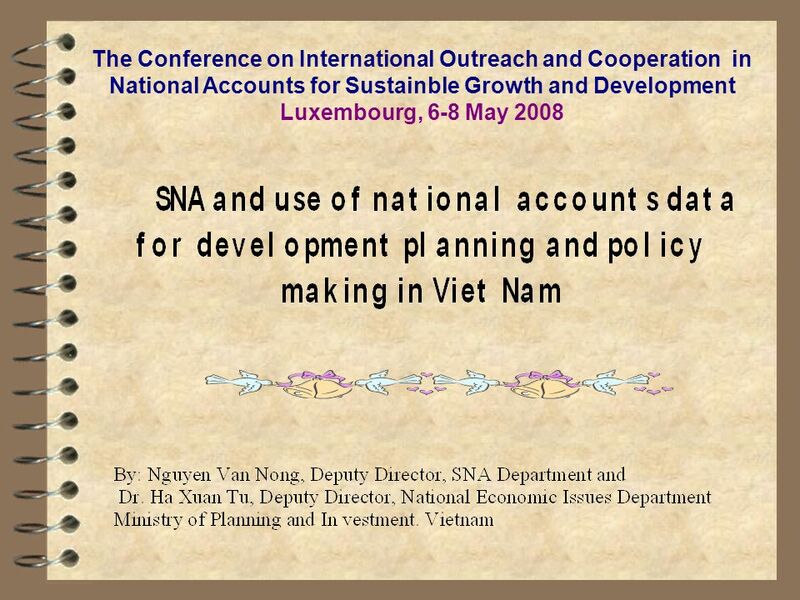 Download ppt "The Conference on International Outreach and Cooperation in National Accounts for Sustainble Growth and Development Luxembourg, 6-8 May 2008." EU Framework for National Roma Integration Strategies up to 2020 Funding EU Roma meeting Dominique Bé 11 May 2011, Prague. 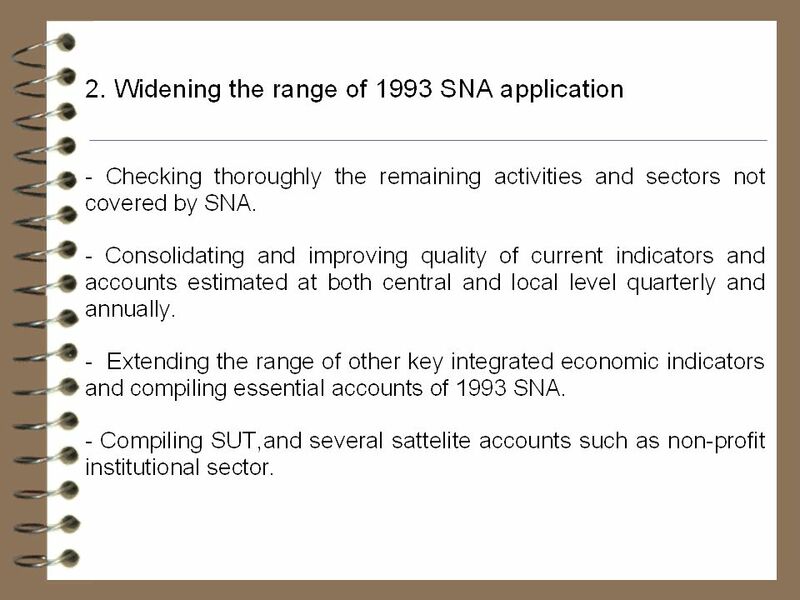 European Commission Directorate General Economic and Financial Affairs New question on capacity utilisation in services - state of play and way forward. 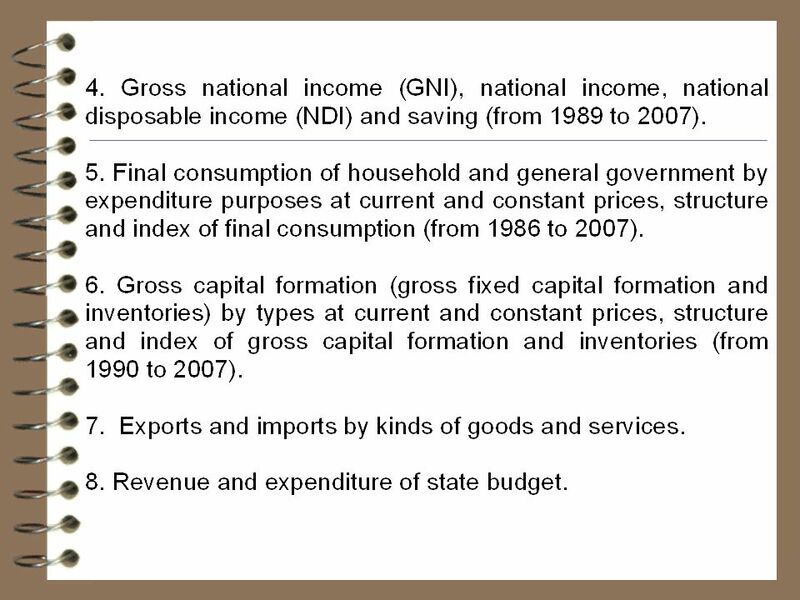 PSD SECRETARIAT RESOURCE PERSON: NIYI LAWAL Medium Term Sectoral Strategies Presentation at the 2009 Stakeholders Budget Harmonization Session. A review of UNEP’s work on Green Economy indicators Nairobi, 2 July 2013 Andrea M. Bassi, Ph.D. UNEP Consultant, Founder and CEO, KnowlEdge Srl. 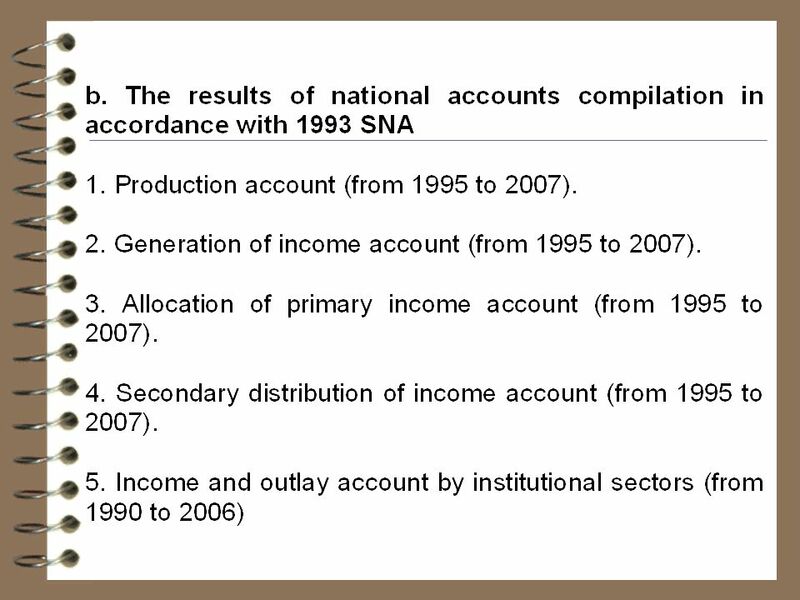 PRIME MINISTRY REPUBLIC OF TURKEY TURKISH STATISTICAL INSTITUTE TurkStat NATIONAL ACCOUNTS IN TURKEY 1 TurkStat. 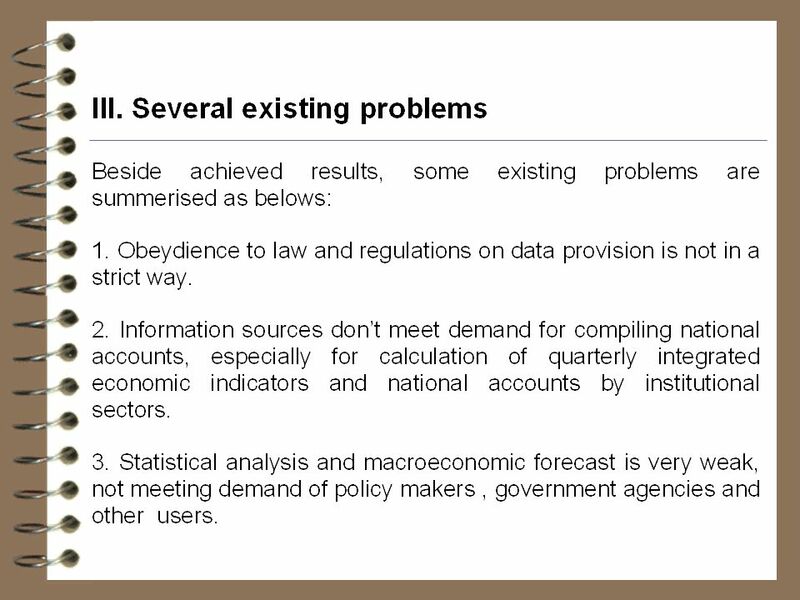 Macro-Fiscal Forecasting Sami Yläoutinen Fiscal Affairs Department (IMF) & METAC Workshop on MTFF December 16 th –19 th, 2014, Beirut, Lebanon. 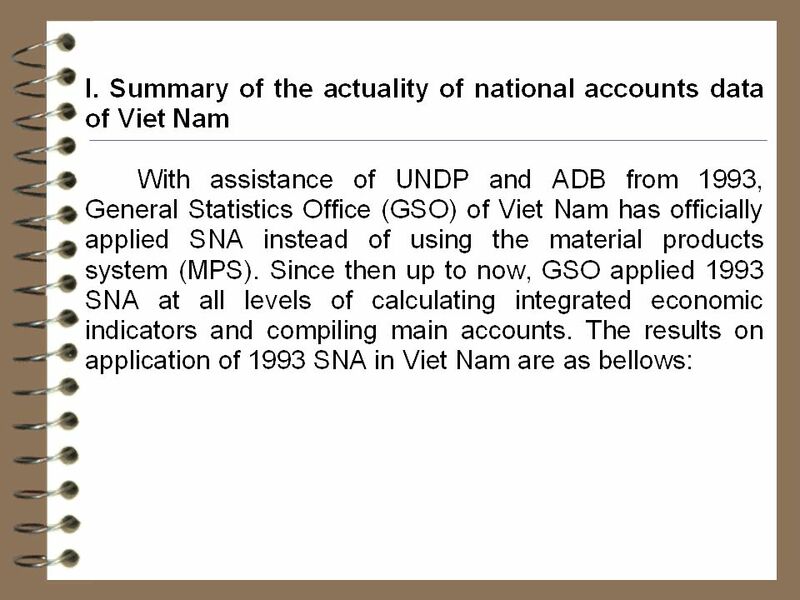 United Nations Statistics Division Scope and Role of Quarterly National Accounts Training Workshop on the Compilation of Quarterly National Accounts for. Monetary Policy Update April Lower repo rate necessary to subdue the fall in production and employment and to attain the inflation target of two. 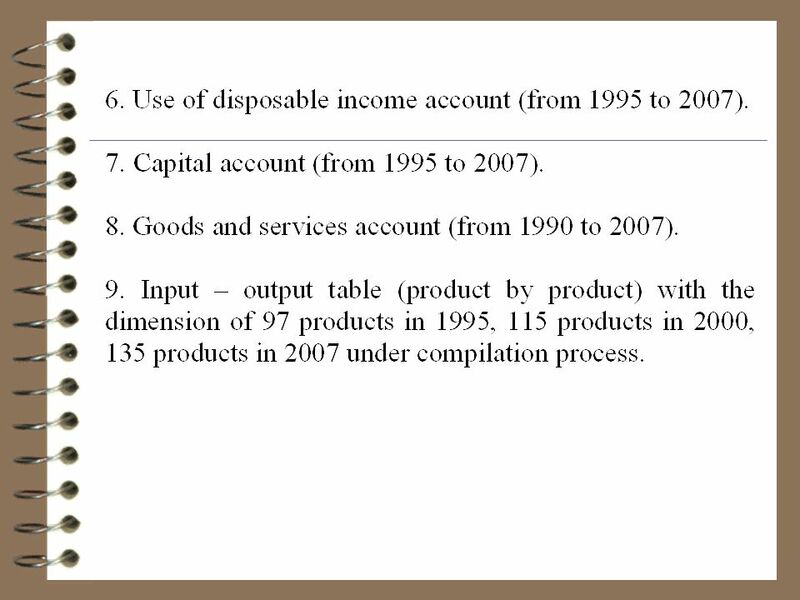 1.2 - What Macroeconomics Do - Macroeconomic Forecasting - Macroeconomic Analysis - Macroeconomic Research - Data Development - BoX 1.1 Developing and. 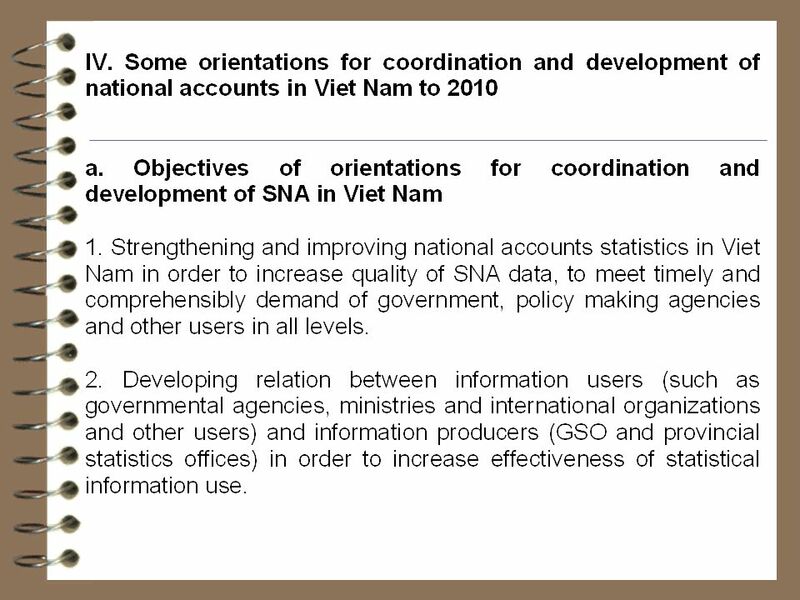 Report presented by Working Group 1 on the capacity development plan to implement CDM in Viet Nam Task 1 : 1.1. Duration: to January Expected. PIDE and IRAN. 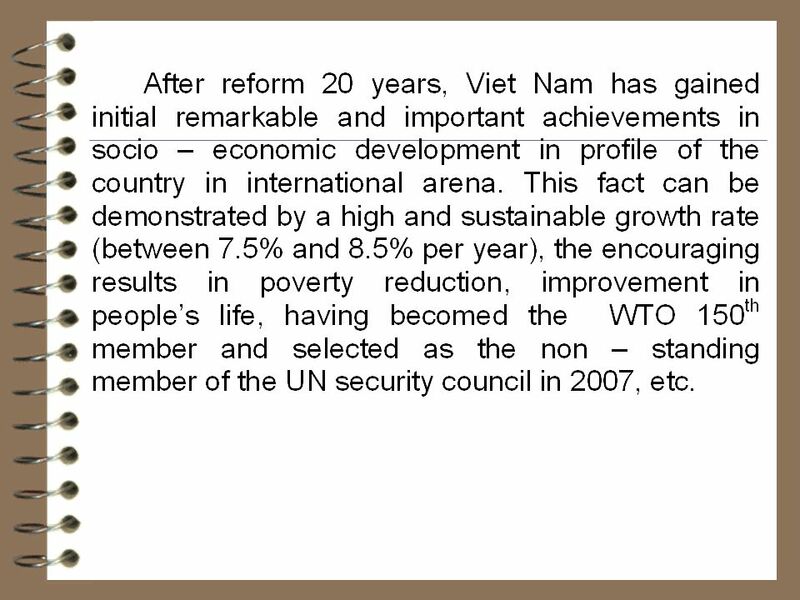 Project Description and Background Ensuring food security has become a serious challenge for the developing countries According to FAO. 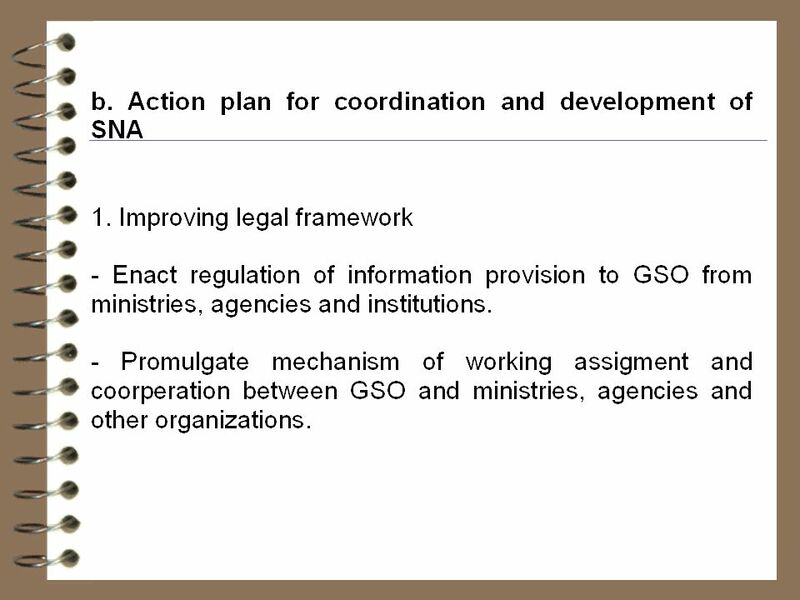 MALAWI CAADP IMPLEMENTATION PROGRESS A PRESENTATION MADE AT THE FANRPAN REGIONAL POLICY DIALOGUE- MAPUTO, MOZAMBIQUE. 3 rd September, 2000 By K. Ng’ambi. 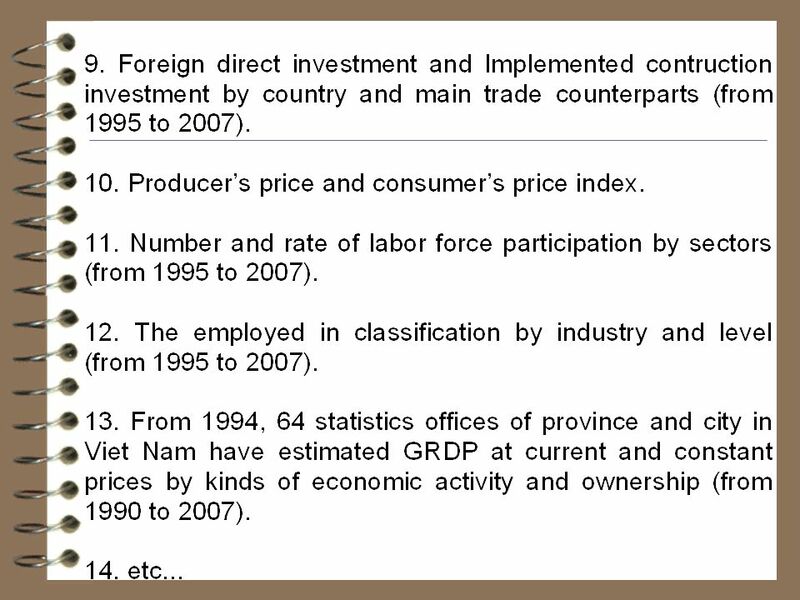 Preparation the Multiple Indicator Cluster Survey Presented By: Kyaw Nan Da Myanmar. 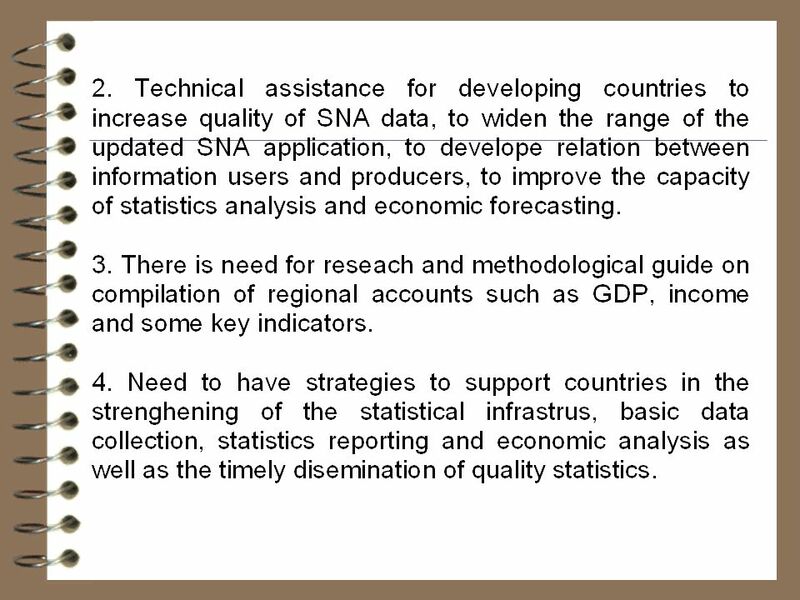 Monitoring Aid for Trade U.S. and USAID Experience Bhavani Pathak Economic Growth, Agriculture and Trade Bureau. 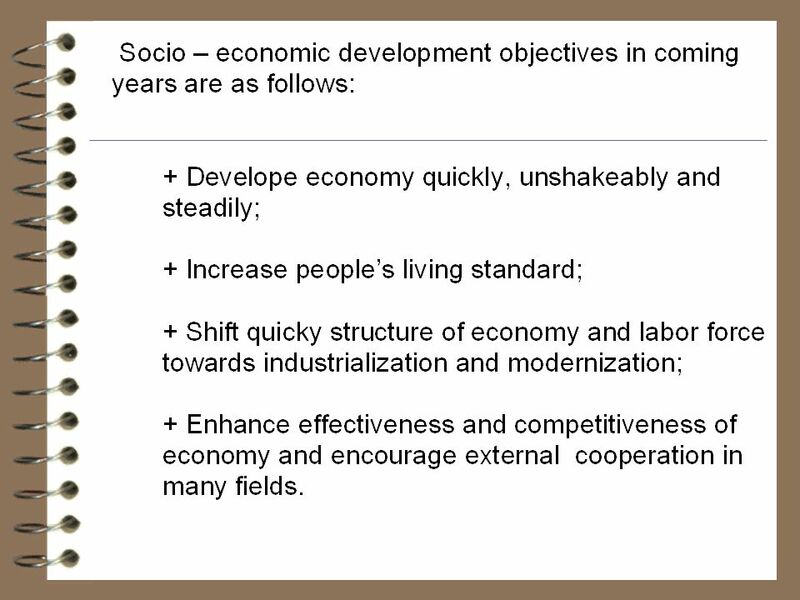 PERFORMANCE AND ROLE OF INDONESIAN CENTER FOR AGRICULTURAL SOCIO ECONOMIC AND POLICY STUDIES IN AGRICULTURAL DEVELOPMENT POLICY PROVISION Pre-Conference. 1 Budgeting in Greece Presentation at the annual meeting of Senior Budget Officials, Vienna, June 2008 Ian Hawkesworth, Budgeting and Public Expenditures. 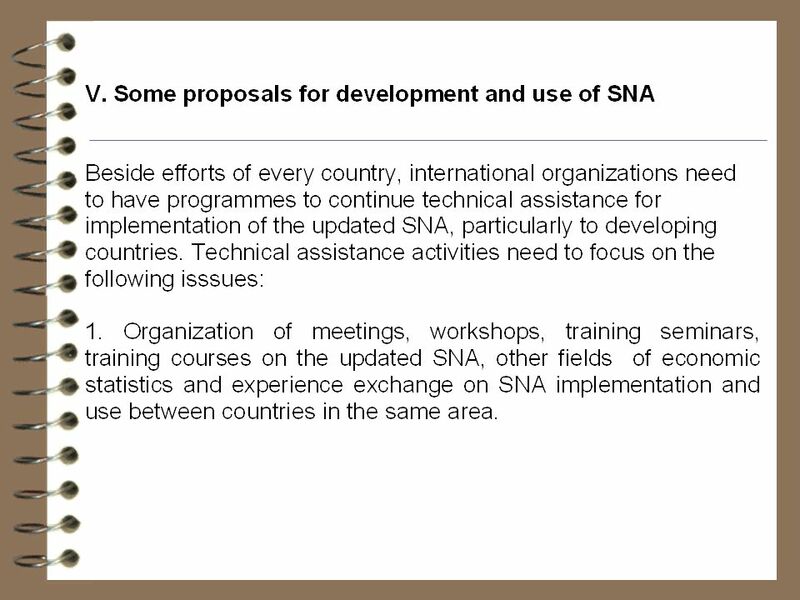 1 Don Smale Secretary-General International Lead and Zinc Study Group International Copper Study Group International Nickel Study Group.